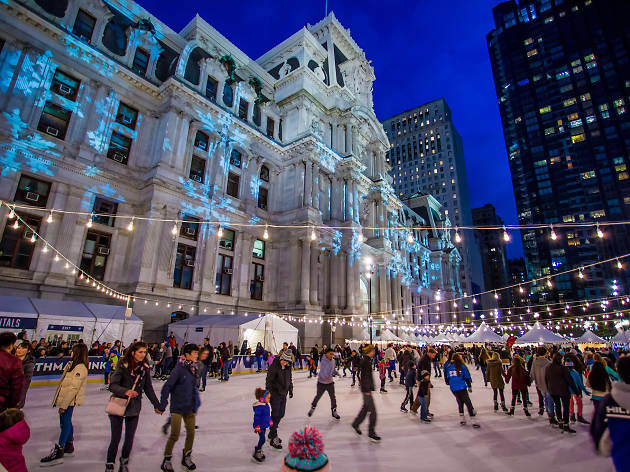 Dilworth Park’s Wintergarden is a hotbed of holiday activity throughout the season, comprising the Rothman Institute Ice Rink and America’s Garden Capital Maze, the Made in Philadelphia Holiday Market and this hype animated light show. Multiple times every night throughout Wintergarden’s run, vibrant images are projected onto the west portal of City Hall with an accompanying synchronized soundtrack. 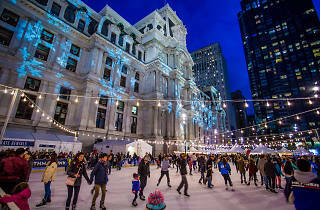 Top off your yuletide feelings with hot cocoa or hot toddies at the Rothman Institute Cab and a lap around the ice rink.